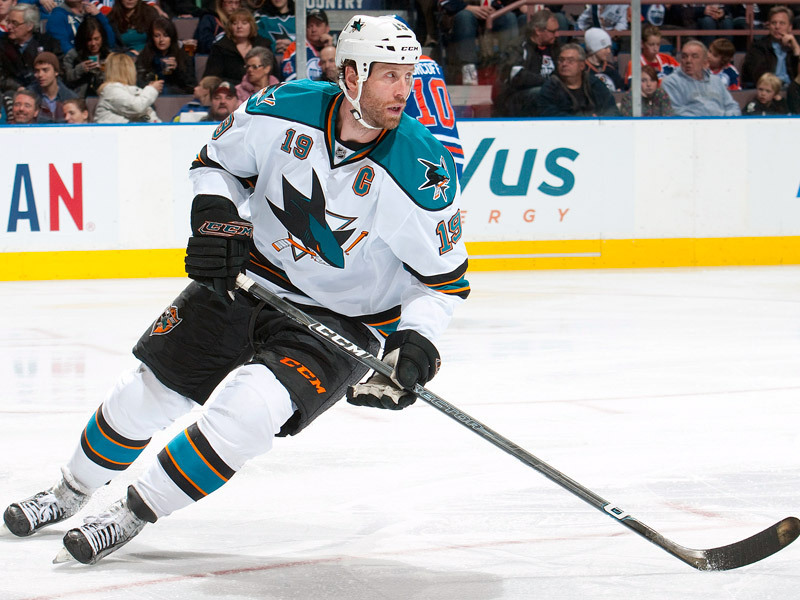 No, Pierre thinks the Hawks will land San Jose’s Joe Thornton. Now McGuire doesn’t mention any sources or say he has any inside info, this is obviously just something he feels will happen. And keep in mind, no matter what you think of him yammering incessantly during a broadcast, the man is in tune with the inner happenings of the NHL. The Penguins did consider him to be their general manager for a reason. Whether he’s right about this situation I don’t know yet, but it’s caused me to think about it quite a bit since I originally saw the tweet Tuesday night. Honestly, I’m not a huge fan of this idea. Joe Thornton has been a very good player in the NHL for a long time, but that’s just it. He’s been around a long time. He’ll be turning 35 in July and he’s owed $6.75 million each of the next three seasons. That means the Blackhawks would be paying him $20.25 million for his age 35 to 37 seasons. This doesn’t sound all that enticing to me, especially when you consider that the Hawks will already be paying Marian Hossa — who is already 35 — $5.275 million a year for the next eight seasons (or until he retires, whichever comes first). I don’t know that I want to tie up over $12 million of my salary cap into two aging players for the next three seasons. And keep in mind that in order to bring Thornton in, the Hawks would have to move somebody in a trade first to free up cap space. Most likely Patrick Sharp. Oh, and they still have to find more room to sign Jonathan Toews and Patrick Kane to extensions, as Thornton is a bigger cap hit than Sharp is. Of course, I say all this realizing that I just don’t like Joe Thornton. I never have. So it’s entirely possible that my feelings on Thornton are clouding my judgment on whether or not I think adding him is a good idea. But I do feel my concerns are legitimate. I know he’s a very good player, and I know he’s coming off a season in which he had 65 assists and a Corsi of 57.9% and a Fenwick of 57.8% (Corsi and Fenwick are “advanced” stats for hockey which basically assess control of the puck. To learn more about these stats I’d recommend reading this.) while he was on the ice, both of which are very good. I also know that he’s been extremely durable, never playing less than 66 games in any full, 82-game NHL regular season. I know he’d be the best center the Hawks have had not named Jonathan Toews in a long time. But it has to end at some point, right? I don’t think Joe Thornton is going to get better as he approaches 40 years old. Sure, some hockey players play that long and are still effective players, but they aren’t superstars worthy of nearly $7 million a year. Do the Blackhawks want to be the team paying for the diminishing returns, potentially being hamstrung by such a deal when they have Brandon Saad to pay as well as a possible solution in Teuvo Teravainen already waiting in the wings? If this were 2011, or if Thornton only had a year left on his deal, I’d be in favor of this move, but it’s not. It’s 2014 and Thornton is signed through 2017, so I have to say no. Just let me continue hating the guy. This entry was posted in Chicago Blackhawks and tagged Brandon Saad, Brent Seabrook, Joe Thornton, Jonathan Toews, Marian Hossa, Patrick Kane, Patrick Sharp, Pierre McGuire, Teuvo Teravainen, Trade Rumors by Tom Fornelli. Bookmark the permalink.